Last night, director of “The King’s Speech” Tom Hooper took home the Directors Guild Award to add to the film’s Producer’s Guild Award. It is rare for a film to win those two awards and then not win big at the Oscars. Nothing is definite just yet, but “The King’s Speech” has certainly become a new force to be reckoned with. Now, this might mean nothing. “Brokeback Mountain” took both the Director and Producer awards and famously lost to “Crash.” Usually though, this is a sign that “The King’s Speech” is a frontrunner. Before I begin ranting and raving, I would like to clarify something. I in absolutely no way hated “The King’s Speech.” I thought it was a fantastic film. The directing and acting are phenomenal, the story is inspirational, and most importantly, boring subject matter (English aristocracy) was made timely and interesting. These are all factors that make “The King’s Speech” worthy of Oscar nominations. However, it doesn’t necessarily make it a winner. The media likes to manufacture Oscar races, and this year it has become “The Social Network” vs. “The King’s Speech.” I’m going to throw “Black Swan” into this because it was my favorite movie of the year and this is my blog so I can do whatever I want. Anyway, the main race between “The Social Network” and “The King’s Speech” represents a race that seems to happen every year: the hip, young film that represents something new and filmmaking, and the safe movie with a classic Hollywood story anyone can fall in love with. “The Social Network” is the story of young nerds turning the internet into what it is today. Meanwhile, “The King’s Speech” has everything most people associate with Oscar movies nowadays: Nazis, war, and overcoming disabilities. I admired the ability of “The King’s Speech” to have all these elements yet not seem to be begging for awards. Yet, it still feels slightly like the Oscar movie we see every year. It has that uplifting ending about overcoming adversity. Compare that to “The Social Network,” which ended more on a loose thread than a moment of absolute clarity. And that could be the reason it has begun to lead the pack. Not because it is simply a good choice, but a safe choice. Nobody truly hated “The King’s Speech” so who would throw a giant fit if it won? “The Social Network” was also universally loved, yet it contains some things that would probably drive an older voter crazy. The central conflict in the film is the battle of new money vs. old money; the young and ambitious vs. the old and privileged. Quite ironic, for the fact that “The King’s Speech” has much less Hollywood royalty behind it than “The Social Network” does. When will the day come when voters get some chutzpah and vote for something they wouldn’t normally vote for? They have a few times in recent years. The best example I could think of is when “No Country for Old Men” beat “Atonement.” Even the recent “Slumdog Millionaire” which seemed like an atypical choice, ends with a poor boy overcoming poverty and finding the love of his life. Maybe the whole reason is that the typical human reaction of being afraid of what is new. 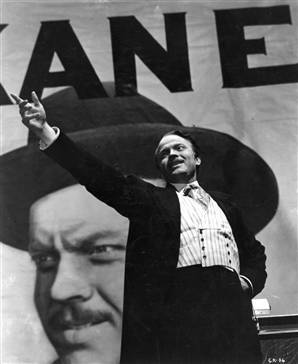 Even “Citizen Kane” didn’t win Best Picture. Or, if they want to, the Academy could be even more daring and pick “Black Swan” as Best Picture. If there’s any movie more ambiguous than “The Social Network,” it’s “Black Swan.” Who doesn’t love a good movie about a character changing? Even if it is for the worse. Maybe they could come even more out of left field and give “Toy Story 3″ the prize. Or how about “127 Hours?” When is the next time we will ever see a film about a guy trying to cut off his arm for 90 minutes? “The King’s Speech” is a great movie that has resonated with audiences and critics alike, a rare feat these days. If it takes home the Best Picture prize, it would not be a crime against humanity (like many other past winners have been), but it just wouldn’t be very exciting. I’m sure that picking a Best Picture winner is a challenging and even painful process. One must pick a film that is representative of that year, one that is relevant today and will be relevant 20 years down the road as well. Who knows what will happen to “The King’s Speech” by then. All I know is that the movies that challenge us the most, the ones that make us ask questions, the ones that dare to try something new, are the ones that are never forgotten. This entry was posted in Black Swan, Nazis, Oscars, The King's Speech, The Social Network, Tom Hooper on January 30, 2011 by ian0592.